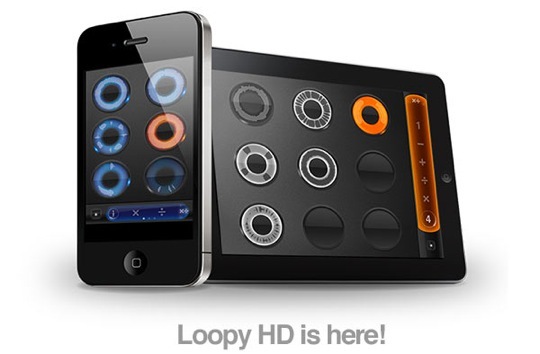 I’m very pleased to announce that Loopy HD has arrived! A Tasty Pixel HQ has been a-buzz with activity these last few months, and we have a solid iPad live looper with top-notch features to show for it. Loopy HD takes Loopy, doubles the number of tracks to fill up that big iPad display (6, 9 or 12 tracks), adds a beautiful big control panel with more session controls, and brings an even more polished audio engine and spot-on time accuracy. We’ve got huge plans for this app and it’s just going to keep getting better. Right around the corner is MIDI support, so you can control the app with a pedal, and sync the tempo with other devices and other apps, over the network or even on the same device. Fun! If you already own Loopy, Loopy HD will be on sale for $3.99 for a few days, so you don’t have to pay full price. We’ll also be giving away some promo codes from our Facebook page, so join us over there if you’re interested. We’ve already given away some promo codes on our newsletter, but we do this from time to time, so subscribe if you’d like to nab one the next time. Loopy has been updated too! 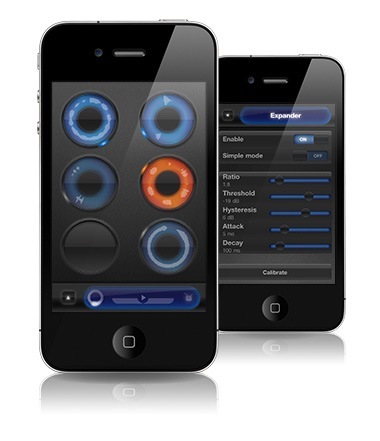 Version 2.1 includes all of the improvements to the audio and timing engines from Loopy HD, as well as a smaller version of Loopy HD’s control panel. There’s a number of new features, as well, like count-in muting and unmuting, the ability to turn off track sync, and zip file support. A headache-inducing scenario: I’m working on a view controller, and I realise that in order to support landscape and portrait modes, I’m going to need to provide two different layouts. So, I create two different views within the nib, one portrait, one landscape, each with the same view hierarchy, but with a different layout. When the orientation changes, I set self.view to the appropriate view. I initialise both views on load, and keep both of them synced to properly reflect the app’s state — basically, I’m double-handling everything, which bloats my code and increases the chance I’ll make a mistake. So, here’s an easier way: Rather than maintaining two separate view hierarchies and switching between them when the orientation changes, why not just change the layout of one single view hierarchy? The only changes between the portrait and landscape views are layout changes, so if we can extract just the layout information from each view, then we don’t have to worry about maintaining both view hierarchies. Basically, we’re talking about using each view version as a layout template only. That’s what TPMultiLayoutViewController class does. It’s a drop-in UIViewController subclass that automatically manages switching between different view layouts for portrait and landscape orientations, without the need to maintain view state across two different view hierarchies. It works by defining portraitView and landscapeView outlets which it traverses upon loading the nib. It matches each subview element to its counterpart in the other layout (based on tag, target/action, title, etc. 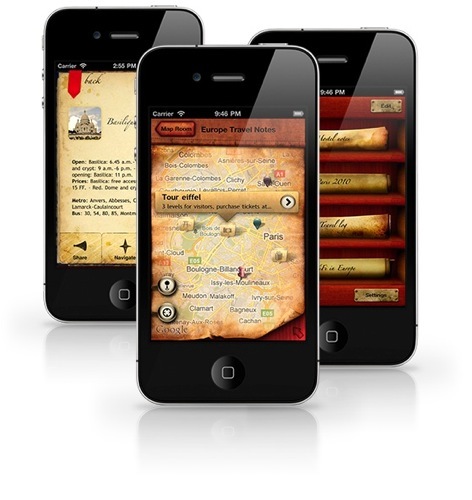 ), and stores just the layout attributes of each element. Then, when the orientation changes, the view hierarchy is traversed and these layouts are applied to each subview. 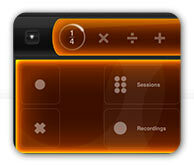 Set the superclass for your view controller to TPMultiLayoutViewController. In Interface Builder, create two different views: one for portrait orientation, and one for landscape orientation. Attach your portrait orientation root view to the “portraitView” outlet, and the landscape orientation root view to the “landscapeView” outlet. Attach one of the views (whichever you prefer) to the “view” outlet, and connect any actions and outlets from that view. Grab it from the TPMultiLayoutViewController GitHub repository, and let me know what you think. We just submitted Loopy 2.0.1 to the App Store! 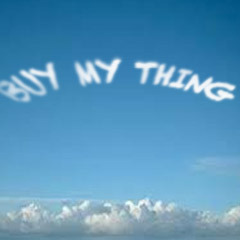 Expect it to land in a week or so. Now, off to work on the next version..